As they grip a brew at The Monk in Fremantle or St Kilda’s Local Taphouse, the drinkers at the bar probably won’t even realise their achievement. But when they taste their lager, pale ale, stout or Berliner Weisse they might just get get an inkling into why they are arguably the biggest winners from the recent wave of Australian Cicerone graduations. Last month, a clutch of people became the first to be granted Australian Certified Cicerone® status after undertaking the US-devised Cicerone program here in Australia. The program has become a world standard in certifying beer experts. Those who pass the near exhausting five hour test are viewed as “brew professors”: think the beer version of sommelier. And those that reach the premier level, Master Cicerone, are “brew gurus”. WA’s Brian Fitzgerald became the first Australian Certified Cicerone® back in 2011 but he had to travel to the US to take the exam. But, following discussions with forward-thinking venue operators and staff, the program has come to our brown land, with nine locals recently advised that their certificates were on the way. They’re just 12 of their kind in this country. For those to have passed, it is a great personal success. But what does it mean to the punter holding his wallet at the bar? Everything. Certified Cicerones® are fonts of knowledge in beer styles, storage, flavours and evaluation, ingredients, brewing processes and food pairing. Part of the test is to deconstruct, then put back together, a beer line and keg connection. And while Matt Marinich takes satisfaction in the official recognition, he knows his clientele at The Monk will be those who benefit most. “I want to keep pushing the certification to where I can and use this to train our staff with a bit of authenticity,” he says. 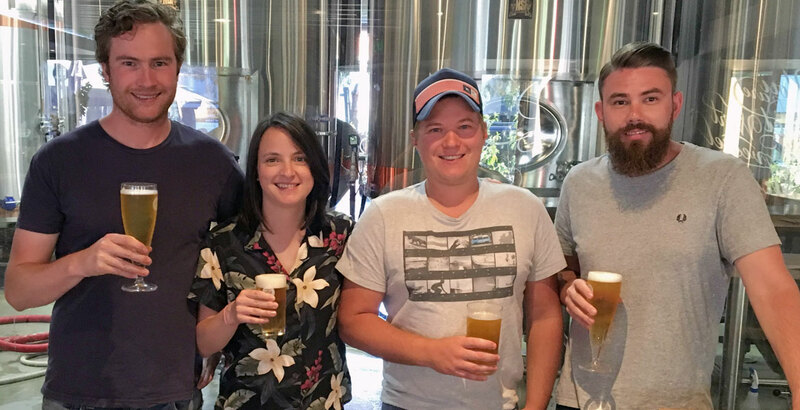 Lion Craft Beer Ambassador Steve Blaine from WA also passed the examination, as did Neal Cameron from The Australian Brewery, and four staff from the Local Taphouse in St Kilda: Cassie O’Neill, Mark Robinson, James Smith and Toby Martin (pictured at top of this article). Sydneysider Ricky Cecire, who is a mere beer consumer rather than someone working in the trade, also got the nod. Taphouse co-owners Guy Greenstone and Steve Jeffares couldn’t be prouder of the staff that sat the exam. “To now have four staff in just one of our venues achieve the immensely difficult Certified Cicerone® accreditation is extraordinary by any measure,” says Guy. That push for beer education was the dream of Ray Daniels, the wise American who founded the Cicerone program. Cicerone program founder Ray Daniels. 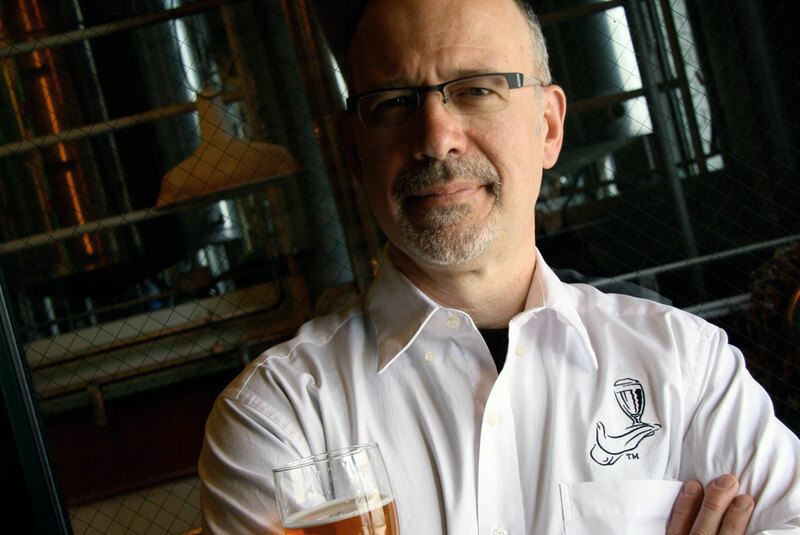 “I set out to help improve beer service for the benefit of all beer drinkers,” says Ray. 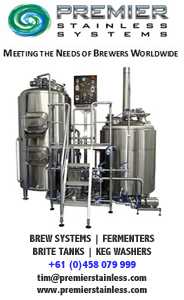 “And today places that want to be known for their beer, and therefore their beer service, have a standard to measure themselves against and they have tools they can use to achieve those standards. “Gone are the days when people could stock 100 brands of beer and claim to be a great beer bar on the basis of that alone. The beer journey isn’t over for Matt. His thirst for beer knowledge continues and he is determined to strive for Master Cicerone® status. There are only 11 in the world who have the black belt in beer. One is BrewDog’s James Watt. “It was three years in the making. I have always been hungry for more brewing and beer knowledge and to have something to work towards was great,” he says. “The next step after this is the advanced exam and that is an all-day exam. But at the moment there are so many that want to take it that it is a lottery system and your name is in a hat and you might get the call up depending on where you are." Matt Marinich, of The Monk, has long been one of the key players in WA's craft beer bar scene. Since first visiting Australia, Ray has started worked with the new Australian Institute of Beer to set up a satellite agency for the Cicerone company. “The Institute of Beer in Sydney has now been appointed as our agents in Australia and New Zealand and one of their staff, Neal Cameron, has passed the Certified Cicerone® exam,” Ray says. Neal said the institute would call on the recent graduates to help advise others wanting to progress their beer credentials. Ricky was one of those exceptions. He doesn’t have an involvement in the beer industry, apart from loving a well made brew. 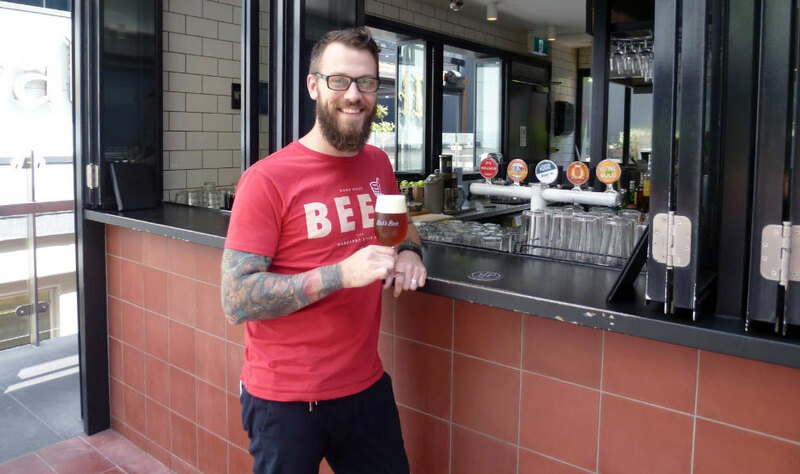 However, he began his craft beer journey about ten years ago, became a regular visitor to the Sydney Local Taphouse, and decided he wanted to learn more about the trade – even if he wasn’t in it. “I had some experience at the home brew level but I’m not on the professional side – yet,” says Ricky, an instrument technologist by profession. “The exam was really tough. As soon as I registered for the exam I underwent three months of intense study. Also, my wife Nataliya put through my paces with blind tastings and telling me to take notes whenever I had a beer. “Now I’m certified I want to go further. When you find something you’re passionate about you want to follow that passion. I really want to get involved in the beer-food pairing and have set up a company, Naked Beer Food, to go along the line of running classes. Find out more about the Cicerone program here. About the author: Ross Lewis is editor of The West Australian's beer website, The Sip.